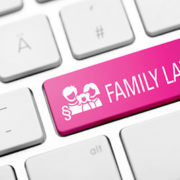 Family Law: What information can a parenting coordinator use to make a decision? 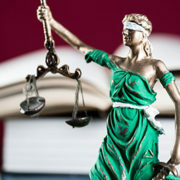 https://tibbslawoffice.com/wp-content/uploads/2011/07/Family-Law-Keyboard-110717-sm.jpg 267 400 TibbsLawOffice https://tibbslawoffice.com/wp-content/uploads/2016/02/logo-300x74.png TibbsLawOffice2019-03-10 20:51:442019-03-10 20:51:44Family Law: What information can a parenting coordinator use to make a decision? February 26, 2016 /in Introduction to Tibbs Law Office, Other Law Topics, Top 10 Videos of 2015 /by Daryle C. Tibbs Esq. Family Law: Top 10 Child Custody Mistakes – Video 9 – Moving New Boyfriend or Girlfriend In Shortly After Separation. January 5, 2016 /in Family Law, Other Law Topics, Top 10 Child Custody Mistakes /by Daryle C. Tibbs Esq. Family Law: Top 10 Child Custody Mistakes – Video 9 – Moving New Boyfriend or Girlfriend Into The Marital Home Shortly After Separation. This week, Daryle describes why it’s a mistake for a parent to immediately move their new boyfriend or girlfriend into the marital home, shortly after the separation. https://tibbslawoffice.com/wp-content/uploads/2011/07/Family-Law-Keyboard-110717-sm.jpg 267 400 Daryle C. Tibbs Esq. https://tibbslawoffice.com/wp-content/uploads/2016/02/logo-300x74.png Daryle C. Tibbs Esq.2016-01-05 00:24:172019-01-06 14:15:59Family Law: Top 10 Child Custody Mistakes – Video 9 - Moving New Boyfriend or Girlfriend In Shortly After Separation. Domestic Relations Law: What is a shared parenting plan? February 3, 2012 /in Family Law, Other Law Topics /by Daryle C. Tibbs Esq. Domestic Relations: What is a shared parenting plan? Daryle C. Tibbs, owner of Tibbs Law Office, continues a new series dedicated to the topic of Domestic Relations Law. https://tibbslawoffice.com/wp-content/uploads/2011/07/Family-Law-Keyboard-110717-sm.jpg 267 400 Daryle C. Tibbs Esq. https://tibbslawoffice.com/wp-content/uploads/2016/02/logo-300x74.png Daryle C. Tibbs Esq.2012-02-03 09:00:002019-01-06 15:12:40Domestic Relations Law: What is a shared parenting plan? Domestic Relations Law: How can I protect my assets if the marriage doesn’t work out? January 18, 2012 /in Family Law, Other Law Topics /by Daryle C. Tibbs Esq. Domestic Relations Law: How can I protect my assets in the event my marriage doesn’t work out? https://tibbslawoffice.com/wp-content/uploads/2011/07/Family-Law-Keyboard-110717-sm.jpg 267 400 Daryle C. Tibbs Esq. https://tibbslawoffice.com/wp-content/uploads/2016/02/logo-300x74.png Daryle C. Tibbs Esq.2012-01-18 09:00:002019-01-06 15:18:56Domestic Relations Law: How can I protect my assets if the marriage doesn't work out?